Premier Kathleen Wynne and her cabinet are considering two key changes that could see hydro bills drop another eight per cent or more, multiple sources tell CBC News. Premier Kathleen Wynne and her cabinet are considering two key changes that could see hydro bills drop in the range of eight per cent or more, multiple sources tell CBC News. With the high cost of electricity the top concern for voters in Ontario, and Wynne's popularity at an all-time low, the Liberals have signalled that tackling hydro bills is their number one priority heading into the spring budget. Sources with knowledge of the discussions say the government is weighing across-the-board reductions to what's known as the "global adjustment" charge on hydro bills. The sources also say the government is considering reforming programs designed to help people struggling with high hydro costs. Specifically, the Liberals are looking at switching the way the programs are funded, so that they are covered from the tax base rather than from fees added to hydro bills. 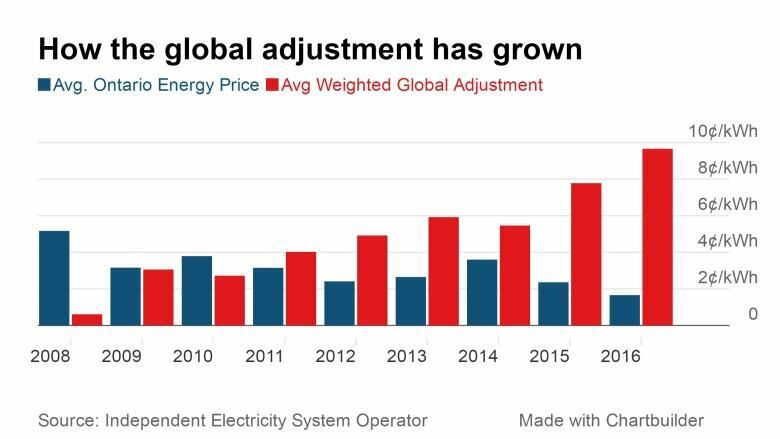 The global adjustment was added to the electricity price in 2005 to recoup the expected $50 billion dollar costs of refurbishing power plants, building new ones, and financing new wind and solar projects. The global adjustment fluctuates monthly, but overall it has risen dramatically since its introduction. During 2016, it accounted for 85 per cent of the cost of electricity, although few customers actually see it, because it is included within the per-kilowatt-hour price on most hydro bills. Ontario hydro consumers spent $12 billion on global adjustment fees last year alone. The government is considering a plan that would change the way the global adjustment is calculated, so that the costs are spread out more gradually over the coming years. "We created a bit of a monster," a senior government official told CBC News, in describing the global adjustment. 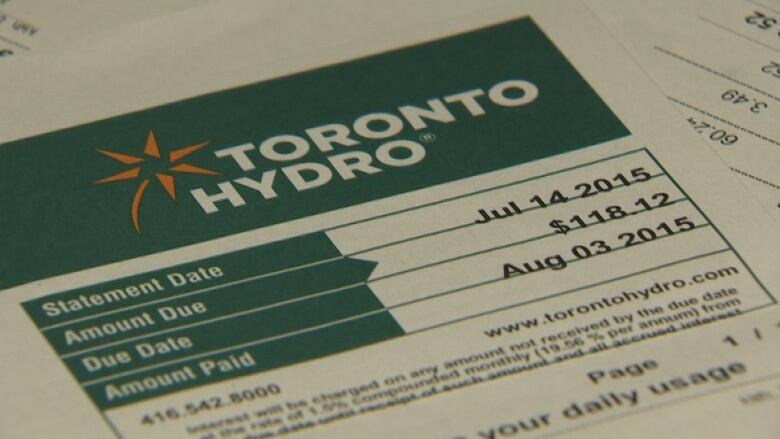 The official said the billions in costs to rebuild the electricity system were "really front-end loaded" on hydro customers, causing sharp increases in bills. "We are now looking at it to see if we can fix it," said the official. "We want to see if we can provide an immediate reduction on people's bills and some certainty about electricity costs going forward." The official was reluctant to say how deeply hydro bills could be cut with such a scenario but suggested a drop in the range of eight per cent is possible. Energy Minister Glenn Thibeault did not deny the global adjustment is under consideration. "I recognize that reducing hydro rates is a key issue for Ontarians," Thibeault said in an email to CBC News on Friday. "We're working hard to find a solution that will be equitable for residential, commercial, and industrial ratepayers, and all options are on the table, within reason." "No decisions have been made yet," cautioned an official in Wynne's office. "These are hard decisions and the government wants to get it right. If it was something super easy, we would have done it a year and a half ago." Experts outside government are divided about reducing the global adjustment. "It's one of the things that's really been driving rates higher in Ontario," said Paul Sommerville, executive director of energy policy at the Mowat Centre, an independent think-tank based in Toronto. In an interview with CBC News, ​Sommerville said he has heard from sources in the industry that the government is interested in tackling the size of the global adjustment and called such a move "a positive and reasonable step." Mark Winfield, a professor at York University and co-chair of its Sustainable Energy Initiative, said the idea, if implemented, would increase overall costs in the long term. "It's like taking a longer mortgage on your house," said Winfield in an email on Sunday. "You pay a lot more in interest, potentially a big problem if interest rates go up." Winfield also said deferring global adjustment costs could be unfair to future hydro customers. "You could create a situation where consumers in the future are still paying for projects which have reached end of life and are no longer producing electricity," he said. 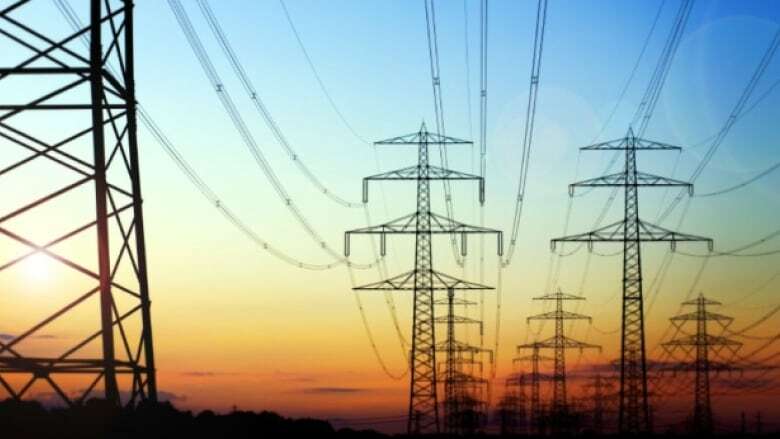 Government sources say the second substantial change under consideration involves programs that subsidize electricity costs, such as the Ontario Electricity Support Program (OESP) for low-income households. Currently all hydro customers fund such programs by paying extra on their hydro bills. The argument goes that these are social programs, so should be funded through the tax base rather than by ratepayers. It's unclear how much further such a change would reduce bills, if implemented. The OESP is funded through a fee of about $1 a month on the average bill, but there are also other programs aimed at reducing hydro costs for rural and northern residents. The senior government official said the Liberals are considering changes to improve the OESP. The program provides rebates of up to $50 a month for low-income hydro customers, but has been criticized for failing to reach all the households that need it. The program "is missing a huge portion of people," NDP economic development critic Catherine Fife told a news conference at Queen's Park on Friday. The Liberals have already moved to rebate the provincial portion of the HST off residential and small business electricity bills, cutting hydro bills by eight per cent effective Jan. 1, at a cost to the treasury of about $1 billion a year. 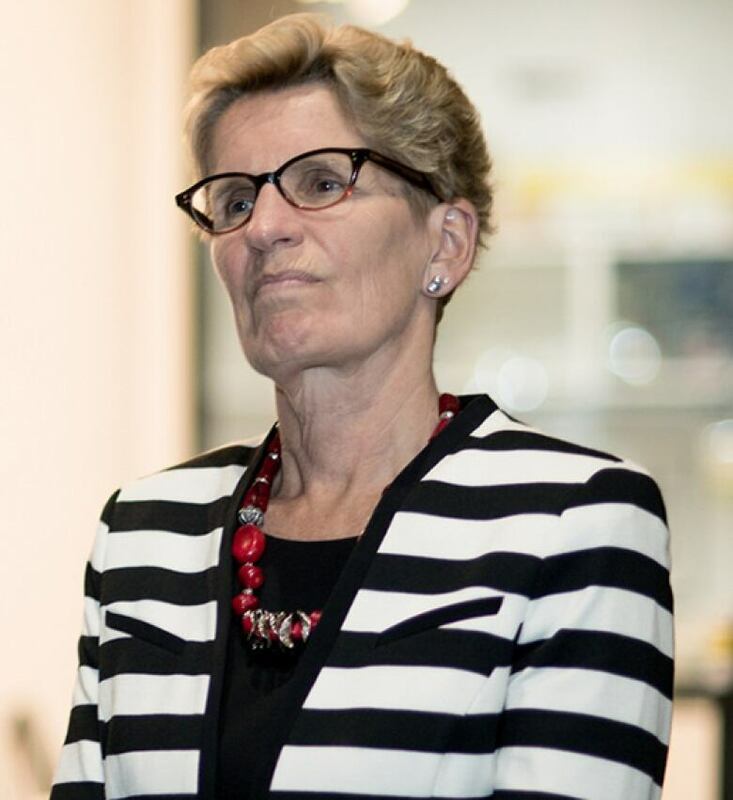 Wynne had said she intends to target further hydro relief at "the people that are carrying the heaviest burden" and has flagged high delivery charges as an issue of concern. But her officials are now acknowledging that across-the-board reductions in hydro costs are necessary as well. Officials say Wynne has been personally gathering advice about tackling hydro rates from senior staff within the electricity sector. She has promised action before Finance Minister Charles Sousa tables his budget, which is not expected until March at the earliest. The Legislature is due to resume sitting next week, after its winter break, with the opposition parties waiting to see what the Liberals bring forward on electricity prices. "From what we've been able to ascertain so far, it's going to be more of a shell game than it is actually dealing with the problems," PC energy critic Todd Smith told a news conference on Friday. Smith wants the government to get out of expensive contracts with private-sector energy providers, especially for green energy. Government officials are firmly rejecting speculation the Liberals intend to use revenue from the cap and trade program to subsidize electricity costs. They say the cap and trade legislation prohibits such use, as the revenue must be spent on new projects that further reduce carbon emissions. The cap-and-trade program began Jan. 1, with the aim of reducing the province's carbon emissions.